The Kossuth Club is a not-for-profit 501(c)(3) tax-exempt educational and cultural organization registered in the State of Florida. It was founded in 1984 to serve the cultural needs and interests of Americans of Hungarian descent in southwest Florida. Our Mission: to promote understanding of Hungarian history and culture through lectures, informative programs and concerts. Our Goals: to foster interest and appreciation in Florida for the history, education, and culture of Hungary, including its literature, music, arts, and scientific achievements; to encourage cultural and educational interaction between the people of Florida and Hungary; to protect the human and minority rights and cultural heritage of Hungarians throughout the world; and to support the development of democratic institutions in Hungary. and Join the Kossuth Club in Sarasota! Activities: Monthly meetings from September through May. Past programs featured music, literature, art exhibits, and a fashion show. Topics of lectures by guest speakers included history, medicine, music history, archaeology, mineral exploration, and travel. Special Programs: Benefit concerts for the Franz Liszt Academy of Music, Millennial Days, and Hungarian Christmas Bazaar. Directors: an Executive Board elected by the membership governs The Club, plans the programs, and designates the recipients of donations. Members of the Board serve as volunteers without compensation. Kossuth Scholarships: The Education Fund provides scholarships to college-bound seniors of Hungarian descent in Sarasota and Manatee Counties and to Hungarian minority students in Central Europe. Membership Benefits: Members receive the monthly newsletter “Hirmondo” (The Messenger) with news and information about upcoming events. Donations to the Education Fund are tax deductible. 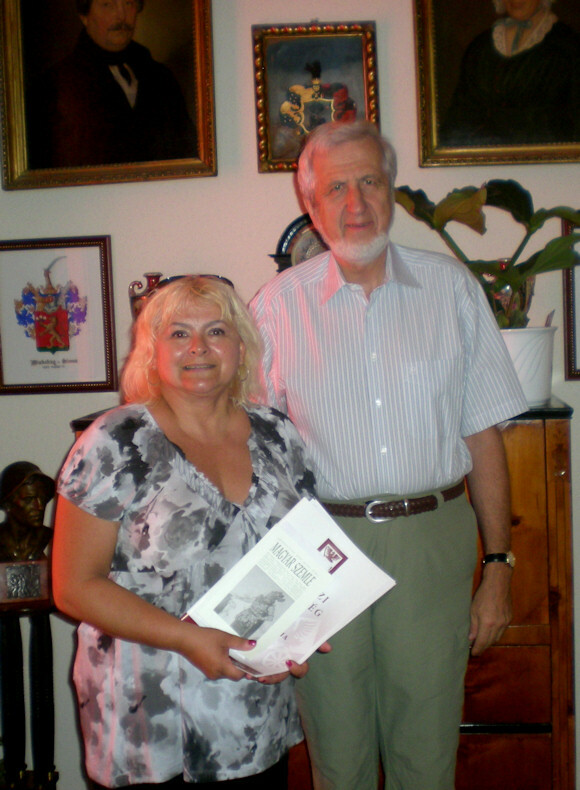 The Kossuth Club's President, Eva Kisvarsanyi, was the June 2011 AHF Featured Member! Contribute or join AHF online!